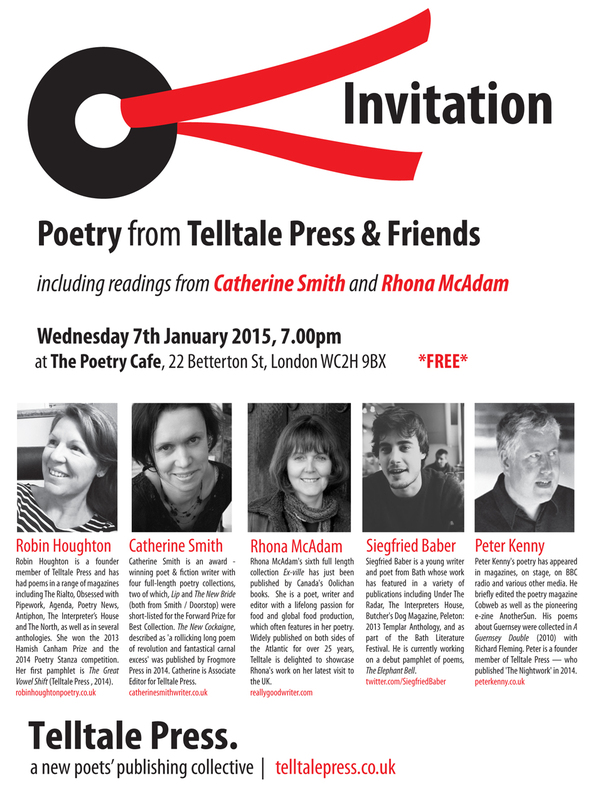 Telltale Poets and Friends are back on the road… join us on Wednesday 7th January 2015 for another FREE event at the Poetry Cafe in London’s Covent Garden. Top of the bill are special guests Canadian poet Rhona McAdam and Telltale Associate Editor Catherine Smith, plus Peter Kenny, Robin Houghton and introducing Siegfried Baber. It all starts at 7pm – see you there!